What are the prospects for peace in war-torn Yemen? How important is Iran to the peace process? Restoring security and stability in Yemen is going to be a long-term process. Successful peace negotiations — including a ceasefire and confidence-building measures — can only be a first step toward that broader objective. Ending the fighting will require that all parties — the government backed by a Saudi-led coalition and the Houthis with their Iranian supporters — recognize that there is ultimately no viable military solution. But in the run-up to U.N.-led peace talks scheduled in Sweden, in early December 2018, none of the parties has accepted that reality. This conflict is primarily a civil war. Other regional governments have interceded to protect their interests, but the conflict will only end through an agreement among the Yemenis themselves. In that context, Iran could play a constructive role in encouraging its Houthi partners to engage in a political process to end the fighting and return to the negotiating table. But neither the Saudis nor the Iranians can force an end to the conflict. What role has Iran played in Yemen? And how does it compare in size and scope with what other regional countries or Gulf countries have done? Historically, Iran has not been a significant factor in Yemeni affairs. It has long maintained a diplomatic presence in Sanaa, but its influence during the two decades before the war was marginal. During the six Saadah wars between 2004 and 2010, former President Ali Abdullah Saleh asserted that Iran was supporting the Houthis, but U.S. analysts found little evidence to support his claims. In 2011 and 2012, Iran’s role began to change during the Arab Spring uprising and the subsequent political turmoil. Tehran’s support for the Houthis increased in that period, although Iran was not a player in negotiations that led to Saleh’s resignation. Ironically, after he was overthrown, Saleh turned to the Islamic Republic as he calculated prospects for returning to power. The Iranians probably played a role in forging the Houthi-Saleh partnership that led to the current civil war. By contrast, Yemen has traditionally aligned politically and economically with its neighbors in the Arabian Peninsula. 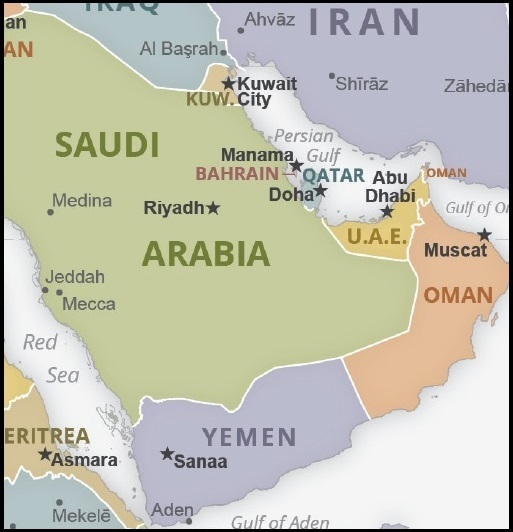 For that reason, the Gulf states — particularly Saudi Arabia, the United Arab Emirates, Oman and Kuwait — played a leading role in forging the 2011 the GCC Initiative and Transition Mechanism, which defined the political transition. Over the years, the countries in the Gulf Cooperation Council have also provided critical economic support for Yemen, the poorest Arab nation. What kind of aid — arms, economic and political — has Iran provided to the Houthis? Evidence of Iranian intervention to support the Houthis, including with military assistance, began to grow in 2012. In January 2013, the U.S. Navy, in cooperation with the Yemeni Navy, seized an Iranian dhow, the Jihan I, carrying some forty tons of military supplies intended for the Houthis. The cargo included Katyusha rockets, surface-to-air missiles, rocket-propelled grenades, explosives and ammunition. The United States also tracked Iranian Revolutionary Guards providing training and assistance to the Houthis in the Saadah governorate. Iran’s support of the Houthis grew increasingly open and transparent after the successful military drive by Houthis and Saleh loyalists in the summer of 2014. The Houthis seized control of Sanaa, the capital, and Yemeni government operations. Houthi leaders traveled to Tehran and signed agreements to establish regular air service between the two capitals; they also agreed to increase Yemeni-Iranian cooperation. Iranian supplies and personnel, including Lebanese Hezbollah allies, began flowing into Yemen. The Iranians also increasingly promoted their own brand of Twelver Shiism over the traditional Zaydi sect practiced in Yemen. Their efforts deepened sectarian divisions, another dimension to the conflict. Since 2014, Houthi rhetoric (echoing Iranian propaganda) and provocations threatening Saudi Arabia’s security became more frequent. The Houthis have since launched several ballistic missiles at Riyadh. What is Iran's position on the peace process, and what terms would it support? I had an opportunity to put this question directly to Iranian Foreign Minister Mohammad Javad Zarif in 2017. He insisted at the time that Iran would support an end to the conflict in Yemen. He said that Iran would endorse terms proposed in 2016 by former Secretary of State John Kerry, which the two men had discussed. The Kerry proposal would have required Yemeni President Abd Rabo Mansour Hadi to step down as a prelude to a Houthi military withdrawal from Sana’a. But the terms were rejected by the Saudi—backed Yemeni government. There is little evidence to support Zarif’s insistence that Tehran would support a political agreement to end the conflict — or that his position reflects the larger views of the Iranian government. Hard-line elements appear to see the continuation of the conflict as a relatively low-cost and low-risk means of sustaining political, economic, and military pressure on the Saudis. Saudi Arabia’s intervention has reportedly cost between $5 billion and $6 billion a month, while Iran’s expenditures in Yemen probably total only millions a year. What has Iran's role historically been in Yemen, and what is it today? How does that vary from the Arab Gulf States? Iran’s historic role in Yemen has been marginal, especially in contrast with the major roles of GCC states, notably Saudi Arabia and Oman, Yemen’s immediate neighbors. Iran has not provided significant economic support for Yemen, and it has not been engaged politically. Tehran has not provided meaningful assistance to address Yemen’s catastrophic humanitarian crisis nor has it pledged future assistance to help Yemen re-build after fighting ends. The economic costs of reconstruction will almost certainly be borne largely by Yemen’s historic partners in the GCC. Thus, in all likelihood, Yemen’s future will remain inextricably linked to the future of its neighbors in the Arabian Peninsula more than to the Islamic Republic. Gerald Feierstein was U.S. Ambassador to Yemen from 2010 to 2013 and then Principal Deputy Assistant Secretary of State for Near Eastern Affairs. He is now a senior vice president at the Middle East Institute.